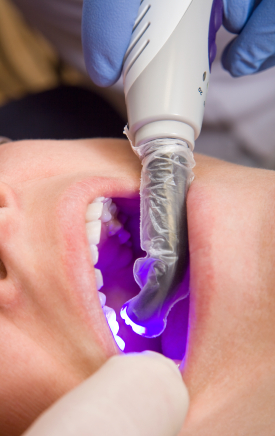 How Safe Are Composite Fillings? If you have a cavity, it is important to do something about it. If you don't the cavity will only get bigger and create more problems for your oral health. It is not safe to leave a cavity untreated. The typical treatment for a cavity is to get a filling. There are two types of fillings commonly used. One is a silver amalgam and the other is a composite filling. Many prefer the composite filling because it is the natural color of the tooth, but they need to ask if this type of filling is safe. The use of silver amalgam fillings has a long history. It has been the common choice since the mid-19th century. For many years people accepted the look of silver in their mouth, because they did not have another acceptable choice. But the silver amalgam presented more problems than just their appearance. Some research has linked them to health problems, kidney disorders and attention deficit. The composite resin fillings offered another option. The idea of the composite resin is popular because it looks natural. It could last as long as the silver amalgam and did not seem to present the possible health issues that came with the amalgam fillings. Composite fillings offered people with allergies to the amalgam fillings an alternative. Because they do not have the history of the amalgam fillings, people may wonder how safe the composite fillings are. Research shows a possible link between the use of composite fillings and behavioral issues in children. The problem is that the research is not conclusive. For its part, the FDA has said that composite fillings are safe for people of all ages to use and do not represent a danger. The research on composite fillings is not complete, but the many benefits they offer outweigh the small chances of potential problems from the fillings. For more information about this or any other oral health issues, contact our office to schedule an appointment.